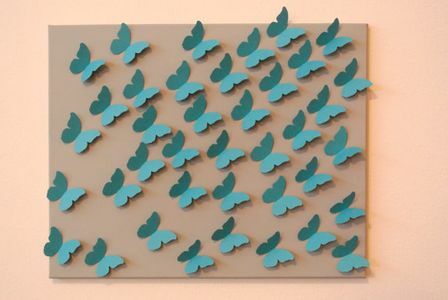 They also create an amazing wedding guest book alternative. 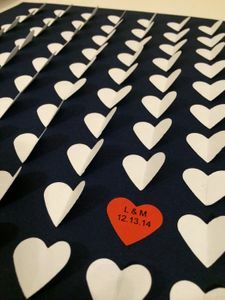 Have your guests sign the individual hearts and then have a beautiful keepsake for your home after the wedding. 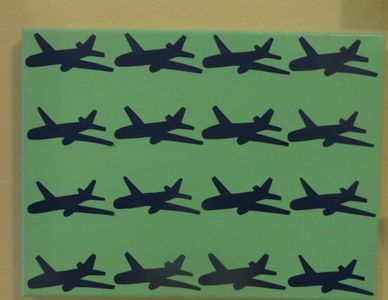 This would also be great for a baby shower to then be displayed in the nursery! 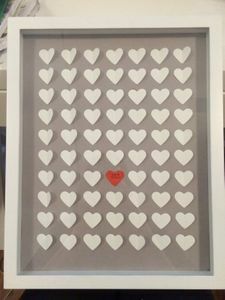 For an anniversary gift, put the couple's initials and wedding date on one heart and leave the rest blank for a beautiful piece of heart for their home.